Gross Weight (GVWR) 4326 lbs. Here at TerryTown RV, our goal is to help every customer realize their dream of owning a great RV! 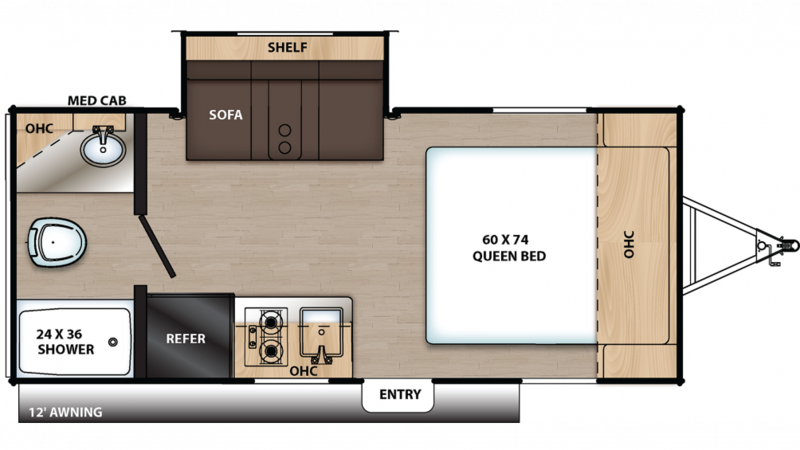 If you have your sights set on this 2020 Coachmen Catalina Summit 172FSS, we can make your dream come true! We've got a massive inventory and low, low prices! We can help you every step of the way, from first look to financing with great rates! We're the top RV dealer in Grand Rapids, so you can depend on us to give you the best deal on this Catalina Summit - or any RV on our lot! We're conveniently located at 7145 Division Ave S Grand Rapids Michigan 49548, so stop on in! Or give us a call at 616-455-5590. With the best prices and the best financing, we make it easy to own your dream RV! The 2020 Coachmen Catalina Summit 172FSS is ready to go when you are! It's 20' 5" long, 7' 0" wide, and has a hitch weight of 326 lbs. The rugged 4326 lbs. GVWR rating means this rig is built to last for years! For outdoor shade and comfort, open up the 15' 0" patio awning! When you fill up the 33 gallon freshwater tank, you'll have loads of clean water for cooking, drinking, showering, and washing during your trip! A refreshing glass of water is best paired with a hot, hearty meal, so cook up something delicious in the kitchen! It has a 7.00 cu. ft. refrigerator and a 2 burner range cooktop, so healthy, savory dishes are easy to whip up! The bathroom has a Marine Foot Flush toilet, so you won't need to go out to the communal bathroom! Enjoy hot showers with the help of the lbs. of LP tank capacity. You won't need to worry about overfilling the 25 gallon gray water tank or the 25 gallon black water tank!